I’ve been on both sides of the table, as a freelance writer and as a communications manager. It’s not that reporters are lazy. They just have different objectives than PR reps. 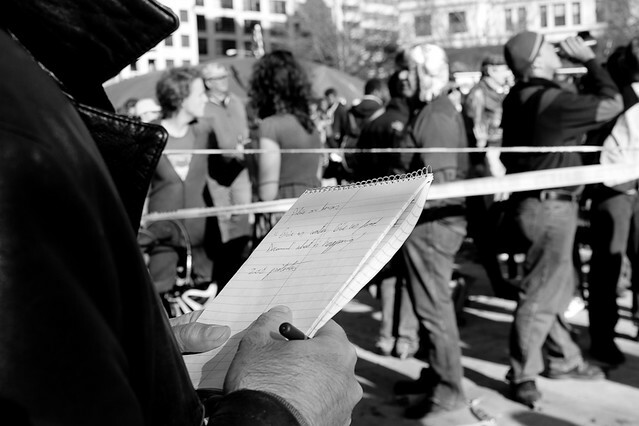 The job of a reporter is to find news and report it back to an audience. If you’re in public relations, your task is to get favorable media coverage for your organization. What looks like journalistic laziness is in fact a relentless search for news. Reporters don’t have time to unpack the complexities of your press release. Don’t ask them to parse a technical document. They won’t sit through a press conference unless you have something really special to announce. If your communication is not clear to them, they move on. If you can’t explain the story in a sentence, then they’re going to find something else to report on. So, what do reporters want? They want news. News is, above all, new. It just happened or (even better) is about to happen. It is new – not something repackaged from six months ago. It is different, special and unique. Publishing an annual report is not news – everyone does that. Publishing your annual report as a series of tweets – that would be news. Benefits, not features. XYZ Company announcing a new widget is not news – the fact that the widget cures cancer, that would be news. Would you describe an iPhone by the kind of chip it uses or all the things you can do with it? Promote benefits to users, not a laundry list of features. Relevancy. Why do my readers care? A blog post from your CEO is not news. Bring me something that my audience wants to read about. Give me something that informs, scandalizes or improves them. A good elevator speech. You only have a few seconds to pitch your cause. What do you say? How do you summarize your story? Reporters are drowning in press releases – they’re not going to read more than a sentence or two in your release before they hit the delete button. Put the value up front, in the first sentence of your pitch. Speak like a human. Do you want to sound important or do you want to be understood? Think simple. Avoid jargon and acronyms. Take out the run-on sentences. Instead, explain your point so clearly that your grandmother would understand. Reporters want interesting stories that audiences will read. Help them out by producing news and not news releases. And check out these tips on pitching from editors and reporters. Note how publications have very different and unique requirements.